A disc specific road or cross rim that features an elliptical profile designed with aerodynamics & weight in mind. The rim has also been specifically tuned to be aerodynamically paired with 23-28c road tyres for optimal performance. 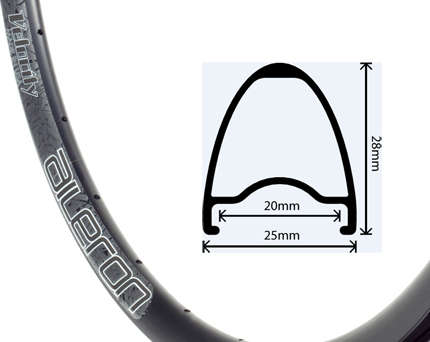 A disc specific rim for either road or cross use. Various spoke hole variants available to suit your needs as a rider.